Home / News / Will Prabhas take up this crazy Aamir Khan's film? Will Prabhas take up this crazy Aamir Khan's film? Prabhas has earned huge fan base worldwide with his power packed performance in Baahubali series, and we have witnessed several rumors on the Young Rebel Star doing a straight Hindi film already. 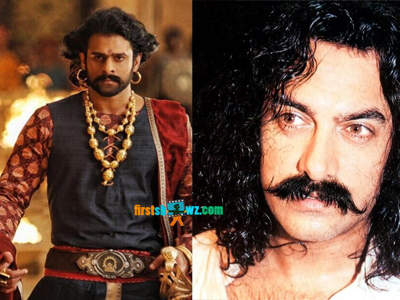 Now we hear that Prabhas has been offered a role in Aamir Khan's prestigious project Mahabharat. It is learnt that Bollywood's Mr.Perfectionist Aamir Khan planned to make Mahabharat in a grand manner in more than five parts, and rumors have it that the Prabhas has been offer to play the role of Arjuna, where Aamir will be seen as Lord Krishna. Will Prabhas take up this crazy Aamir Khan's film Mahabharata? we never know. Keep watching this space for more interesting updates. For now Prabhas is busy with Saaho under the direction of Sujeeth and he has another film with director Radhakrishna Kumar.